Turn the pack green with envy. Your riding buddies will be eyeing you up when you roll up in your Colorblock kit from Oakley. Featuring a no-compromise comfortable fit and finish, the Colorblock delivers you to the end of your ride feeling fresh and ready for more. 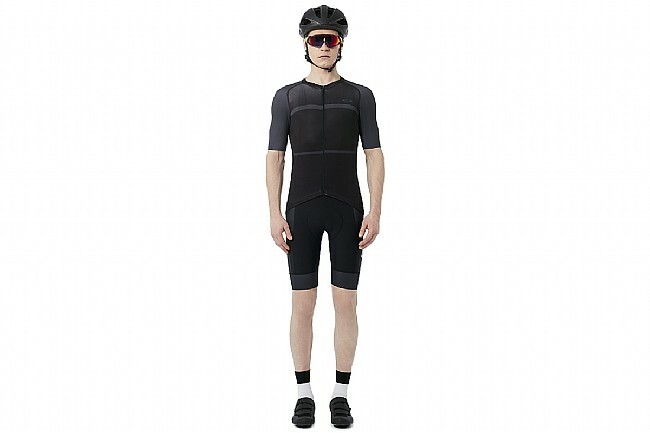 A lightweight, airy upper provides breathable stability to the short, keeping it from shifting during the ride. Inside, Oakley's smoothVapor chamois uses multi-density foam and a smooth topsheet to cushion and support the rider, no matter the distance of the ride. Laser-cut leg openings with integrated grippers keep the legs in place without squeezing, constricting, or chafing the skin. With sublimated graphics in simple modern patterns, these bib shorts display eye-catching designs and are available in a matching jersey for those that want to complete the look. 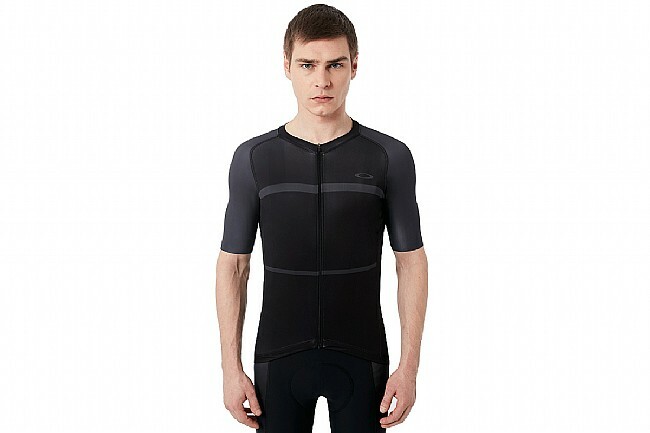 Oakley's smoothVapor chamois provides all-day comfort and support. Sublimated graphics with eye-catching design. 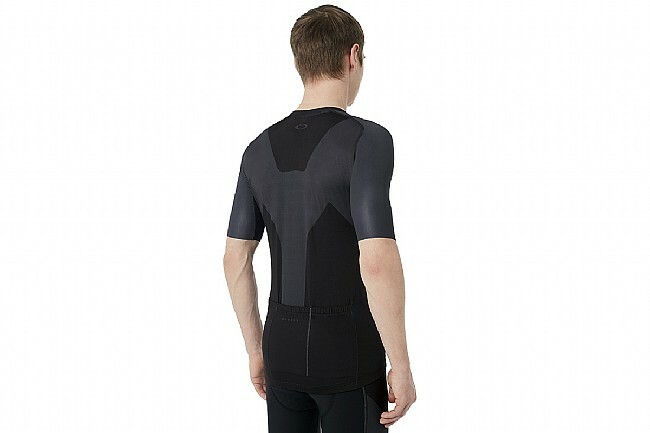 Hidden reflectivity in back seams for improved low-light visibility. Laser-cut leg openings with integrated grip.